Decibels Audiology and Hearing Aid Center > Uncategorized > What Holds You Back from Hearing Hearing Healthcare? 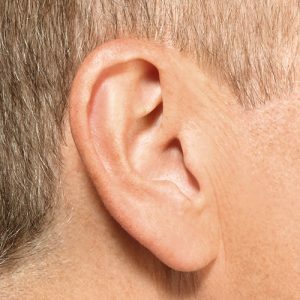 Today’s technology allows for invisible, accessible hearing devices. Now, there’s no excuse — let go of all that’s holding you back from fabulous hearing healthcare! Many factors hold people back from getting a free hearing test and investing in high quality hearing devices. On today’s blog post, we will discuss these factors in detail. Additionally, we will provide alternative lines of reasoning as to why Southwest Floridians must prioritize their hearing healthcare. So, why do people refuse to do any combination of the following? Confront their hearing loss and get fitted for high quality hearing devices. Wear their already-purchased hearing devices. Maybe you know someone who fits into one of these categories. Maybe it’s a parent, another relative, a friend, or a spouse. Regardless of who, these refusals are frustrating. A number of factors play into the reality that many Americans refuse to accept their own hearing loss and oversee their hearing healthcare. Denial regarding the aging process. The aging process often involves realities that we don’t really want to confront. It’s much easier to deny them, which is totally understandable. Trepidation regarding price. The process of investing in high quality devices seems overwhelming financially, and many people tend to put off this process. Fear and/or nervousness hold them back from paying attention to their overall health and wellness. Cultural stigma about wearing hearing aids. Many Americans feel that wearing hearing aids automatically ages a person. Do any of these factors hold you back from scheduling a free hearing test at Decibels Audiology and Hearing Aid Center? We want to get to know you, calm your fears, and walk through this process with you. Denial to Acceptance: We’re All Aging! The moment we hit — let’s say 30-35 years old — we begin to age. That’s reality! Our knees hurt for a week after an hour of church basketball. We notice growing clusters of grey hair. Our metabolisms slow down, and we find that one mini Snickers bar = 1.5 additional pounds that won’t come off without weeks of vigorous exercise. However, as the decades progress, we find greater wisdom, rich experience, and better experience accompany the aging process. When we accept the fact that aging requires additional physical oversight for health and wellness, we enjoy the camaraderie that inevitably ensues! Fear to Empowerment: Hearing Aids Prevent More Serious Issues! Yes, high quality hearing devices with up-to-date technology require a significant investment. However, confronting hearing loss right away prevents greater injuries and works to preserve brain function. Study after study shows that hearing devices help prevent cognitive decline. In short, they are a fabulous, manageable investment available at a variety of price points. Cultural Stigma to Full Enjoyment: Live Life to the Fullest! There may have been a cultural stigma regarding the clunky, ugly hearing aids of generations past. We live in a technologically advanced age in which INVISIBLE hearing aids are the reality available to all! There is no more cultural stigma — there is only opportunity to live a full life of enjoyment, fun, experience, social events, hobbies, and activities. So, get out there! Mix it up! Visit Decibels Audiology, and let go of all that is holding you back from living a fabulous life. Contact us today!